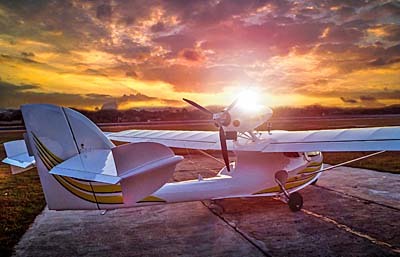 The LSA seaplane sector is one of the most intriguing areas of the diverse Light-Sport space. Development has introduced many fresh ideas to this class of airplane. At present a few companies are actively delivering airplanes that have proven themselves over several years of operation. One of those is SeaMax, formerly delivered by a company known by its Portuguese name, Airmax Construções Aeronauticas. Now, welcome the simpler SeaMax Aircraft. The manufacturer of the SeaMax M-22 announced a company rebranding last week. As part of its strategy to enter into the U.S. market, the company changed its logo and named the company after its prominent aircraft model. “Our new brand, SeaMax Aircraft LTDA, captures the identity of a legendary and globally known aircraft and incorporates [the model] into the spirit of our company, consolidating market recognition,” said Shalom Confessor, Executive Director of the company headquarters in the United States. 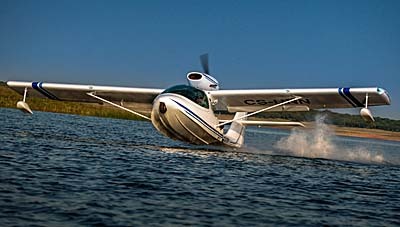 The company now known as SeaMax Aircraft reports manufacturing 152 of its amphibious aircraft. SeaMax M-22, a design by Miguel Rosario, has been delivered to more than 20 countries. In the last year the company established a presence in the U.S. market. Manufacturing continues at its factory in the state of Sao Paulo, Brazil but the company now has facilities in Daytona Beach, Florida. SeaMax Aircraft is located on the campus of Embry Riddle Aeronautical University, which opened an incubator to encourage innovative companies that can also offer real-world experience to its student population. “We have issued certification to some maintenance centers in the U.S. to provide technical assistance for our customers,” reported Shalom. “Last month the company delivered and registered with FAA serial number 152, the first one under the new manufacturer’s name. Naturally I want to include Searey and Aventura in identifying brands that are well established with long histories. Progressive Aerodyne, manufacturer of the segment-leading Searey went through an ownership change (quite seamlessly, it appears) a bit more than a year ago. Aero Adventure‘s Aventura series has been re-engineered (using CAD) and may have big news in the future. They have an equally long history to Searey. Both are based in central Florida. With the name rebranding, SeaMax Aircraft also announced Dr. Gilberto Trivelato as the new Chief Executive Officer. Trivelato has been instrumental in the company transition as its strategic administrator and the name behind the current successful SeaMax restructuring. Gilberto, 56, is a prominent and well known Brazilian engineer, holder of a PhD in Space Technology and has expertise in systems engineering, management systems, and risk management. He’s been in executive positions in both civil and defense industries in his country, including 18 years at high-level positions at Embraer. He has also work at Mectron (avionics sensors for defense), and held a graduate-level professorship at National Institute of Space Research (INPE). “Dr. Trivelato’s experience in the airspace industry and complex systems, adds credibility and knowledge to our company to face all the necessary changes, in order to implement new projects we have kept in our secret safe and to take our company into the next level,” stated Miguel Rosario, the company’s founder, lead designer, and current COO. 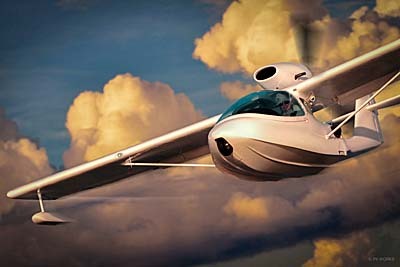 SeaMax Aircraft describes M-22 as a high-performance Light-Sport Aircraft with global sales. Manufactured in Brazil for more than 17 years it has sold more than 150 units to more than 20 countries. Seamax won aeronautical awards, such as the prestigious “Outstanding Commercial SLSA” at Sun ‘n Fun in the United States and the Schneider Cup in Italy. It has been featured in more than 40 specialized magazines around the world. 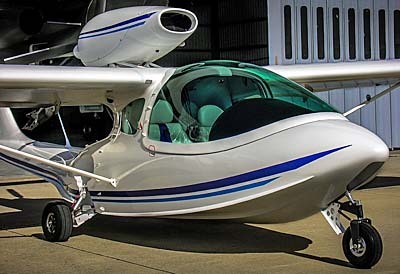 Seamax pioneered as one of the early Light-Sport amphibious aircraft to win FAA acceptance in the category — it appears in the #63 spot on our popular SLSA List. “Made of composite materials, Seamax uniqueness relies upon its ability to remain light, granting exceptional performance, large range, and one of the highest useful loads in the category,” wrote SeaMax Aircraft. See much more about SeaMax on this page. With the performance and price point, why get anything else? Shucks, it outperforms many land planes in this category and you can land it in the water, more than once! Lightest, best performing, stylish and don’t forget best safety record in all SLSA as well! Sweet aircraft. Best of luck with their new US. venture.